Gîtes de France Eure in Normandy Get ready to enter in French Normandy country life 00332.32.39.53.38 A team at your service ! B&B at the castle close to Evreux and its exceptional Gothic cathedral. 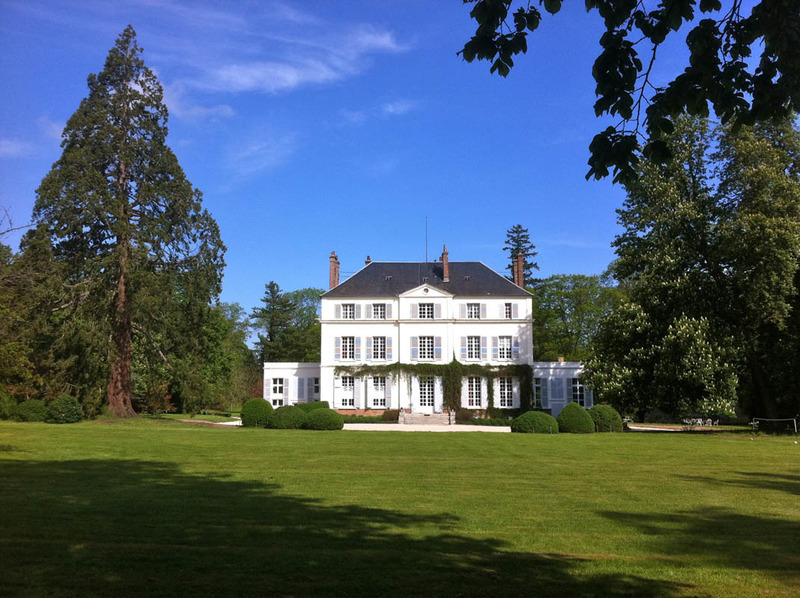 A well-being and relaxing stay in Normandy (spa in the conservatory). Roseline and Eric welcome you warmly all year round to this unusual and romantic place. Authenticity lovers looking for calm and serenity will be charmed. 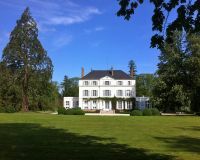 A beautiful park of 3 hectares surrounds the chateau. In the old greenhouse with its vineyard, you'll enjoy the spa. You'll also appreciate the breakfast in the castle's old kitchen, which has kept its original charm. In one of the catle's wings, the 3 bedrooms with refined decoration are spacious and very comfortable. Each offers a view over the park, a lounge area, a double bed (180x200) or 2 single beds, desk, and spacious bathrooms. Different themed rooms with a mix of character and contempory, but all with a very personal touch. Payment with Pay pal is accepted. Ambiance des années 50 dans cette chambre de 23 m² qui propose 2 lits 1 personne de 0,90 m x 200). Grande douche spacieuse. Vue sur parc. Mélange d'ancien et de contemporain. Déco raffinée. Coin bureau. 2 lits 1 pers0,90m x 200). Salle d'eau spacieuse. 30m². Vue sur parc. Escape for a magical and romantic getaway in Normandy : give yourself a moment for a weekend in a gite around a fireplace or a cosy and full of charm guesthouse...an invitation to happiness, a real return to the Garden of Eden in a warm and intimate atmosphere ! 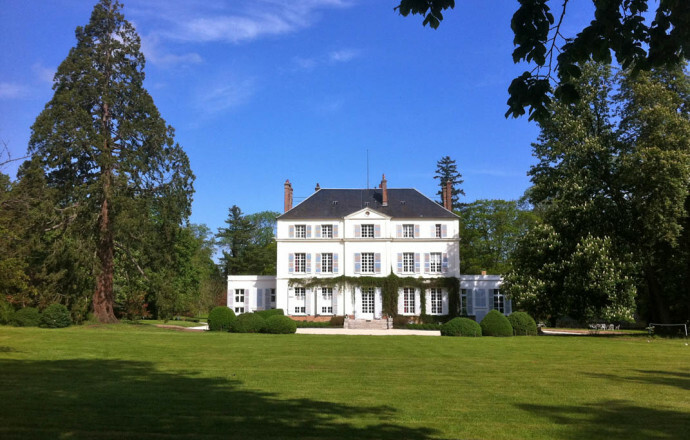 Sportsmen and adventurers, go on an adventure in Normandy ! Enjoy a getaway full of sensations into Gîtes and guesthouses with powersports, quad, kart, private tennis court, swimming-pool, riding, hiking, fishing, sea fishing, water sports, yachting, canoeing, climbing, golf, climbing, hunting... Fun and thrills guaranteed ! Rental offering horseriding and/or located to less than 5km of an equestrian centre. 1950s atmosphere bedroom. Room of 23 m² which offers 2 single beds (0.90 m x 200). Large spacious shower. View on the park. Decoration and tones that combine antique and contemporary styles. Refined decoration. Office area. 2 single beds (0, 90 m x 200). Spacious shower room. 30 m². View on the park. 26 m² bedroom that features a visible framework. Beautiful views on the park. Warm and refined atmosphere. 2 single beds. Shower room. Monday to Friday from 9 a.m. to 6:30 p.m.